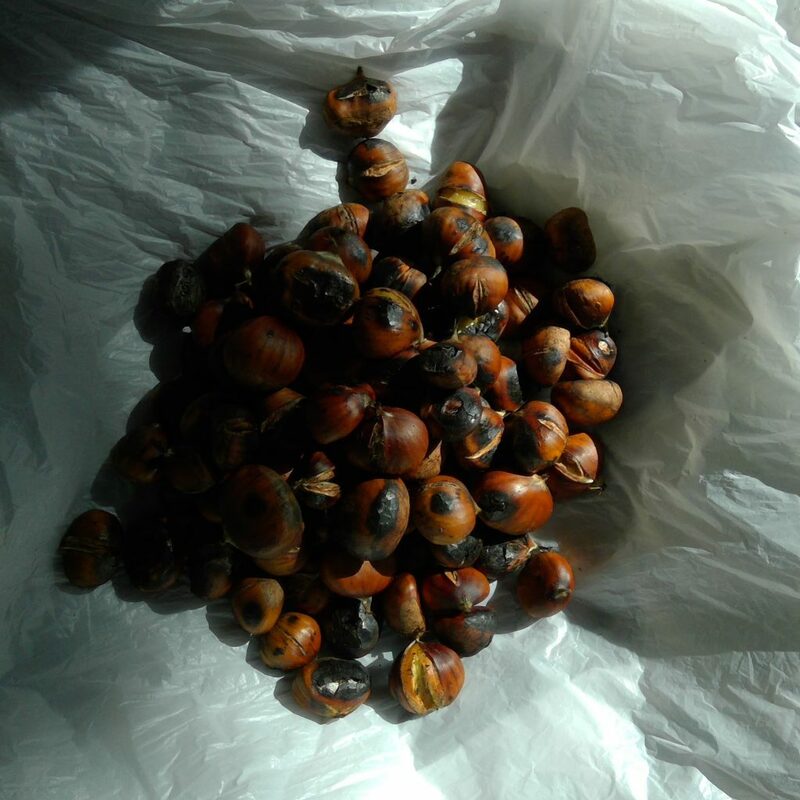 Sweet Chestnuts are literally falling down from the trees right now if you happens to be in an area where they grow. 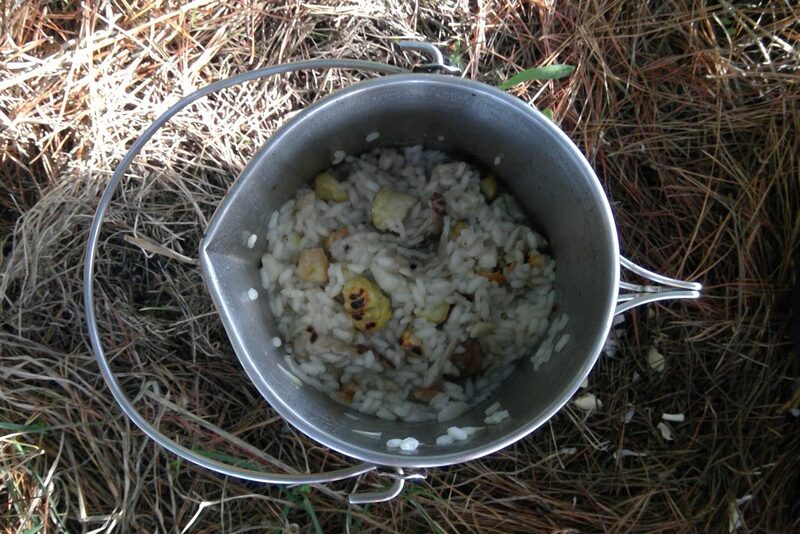 Mushrooms are easy to find as well …so a risotto was pretty obvious. 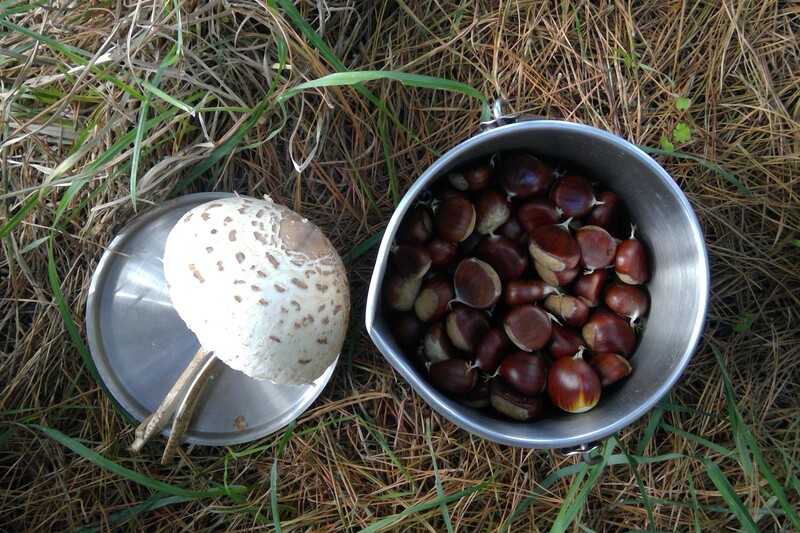 Just heating the Sweet Chestnuts in the bush pot for about 15 minutes and peeling them. Frying olive oil and garlic, adding water and rice, boiling till ready and adding chestnuts and let it settle for 5 minutes. …and your 50 cent meal is ready! Enjoy!